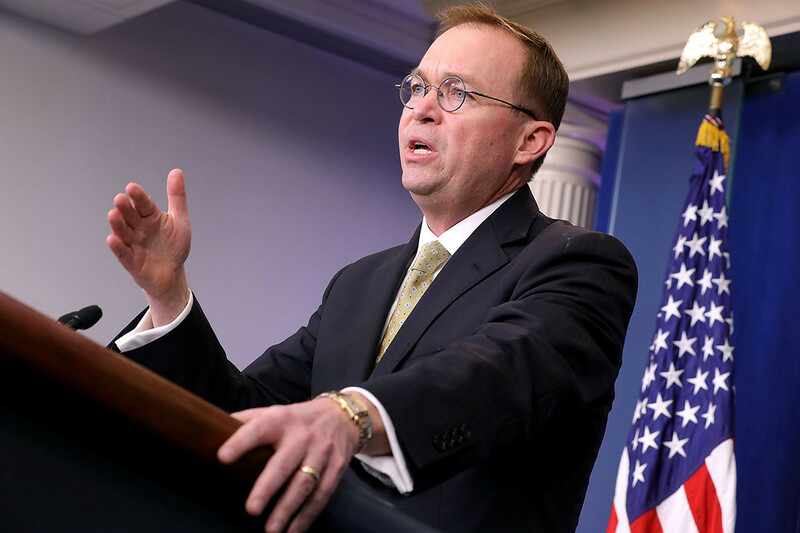 The pitfalls of a plan for Trump to shift federal dollars without an emergency declaration are coming into clearer view. Done by executive order, this plan would allow the White House to shift money from different budgetary accounts without congressional approval, circumventing Democrats who refuse to give Trump anything like the $ 5.7 billion he has demanded. Nor would it require a controversial emergency declaration. But the strategy is far from a cure-all for a president with no good options, and it has already sparked debate within the White House. Moving funds by executive order is virtually certain to draw instant court challenges, with opponents, including some powerful members of Congress, arguing the president is encroaching on the legislative branch’s constitutional power to appropriate funds. Some Trump officials, including those aligned with senior adviser Stephen Miller, have argued internally that the gambit might be even more vulnerable to court challenges than a national emergency declaration. And in a sign of the political fallout, the top Republican on the House Armed Services Committee has argued that tapping military construction money would hurt the armed forces’ potential readiness. Until now, Trump officials had focused on the drawbacks of a possible national emergency declaration. But as the alternative option of moving money by executive order has come into clearer relief ahead of a Feb. 15 deadline for a spending deal with Congress that could avert a new government shutdown, so have the risks of that alternative option. Inside the White House, the president’s lawyers have for weeks grappled with the question of how to defend Trump should he choose to assert broad executive powers to build the wall. While the phrase “national emergency” has an extreme ring, some administration attorneys note that it is a well-established power under a 1976 law that has been invoked 58 times by past presidents. They call it uncontroversial that presidents have broad discretion to declare a national emergencies and similarly broad authority to deal with them. A national emergency declaration, however, does not unlock unlimited powers and would be subject to court challenges. The White House counsel’s office has been studying two statues in detail that Trump could invoke under national emergency circumstances — and both come with problems. One, 10 USC Section 2808, authorizes military construction projects that support the use of the armed forces. Those are typically things like barracks, helipads and other military fortifications. The other, 33 USC Section 2293, allows the Secretary of the Army to redirect funds from the Army’s civil works program for projects including “authorized civil works.” White House lawyers, however, expect to be challenged about whether the wall truly supports the armed forces or is an authorized civil work. Neither the White House press office nor a spokeswoman for the Office of Management and Budget responded to requests for comment. While White House officials still hope Congress can work out a deal to keep the government open, a bipartisan committee hit roadblocks over the weekend that dimmed hopes for a compromise, and Trump officials continue to sift through the alternatives — well aware of polls that showed Trump took most of the blame for the unpopular 35-day shutdown that began in late December. Another Republican close to the administration predicted that Trump would cobble together money for his wall from multiple sources. That could mean signing a congressional deal likely to include only a fraction of the $ 5.7 billion he seeks while supplementing it with executive action that accesses billions more. Even if Trump decides that the legal obstacles of an executive order are less daunting that those that would come with a national emergency declaration, tapping unspent funds intended for disaster relief and military construction would bring serious political and policy risks. By diverting disaster money intended for heavily Democratic California and Puerto Rico — instead of staunchly Republican Texas, which is still rebuilding after Hurricane Harvey — Trump opens himself up to criticism that he’s favoring red states over blue ones. Both of Texas’ GOP senators, Ted Cruz and John Cornyn, have made clear their opposition to reprogramming any Harvey relief funds. Redirecting the military funds by fiat is also more complicated than it might sound, in part because Pentagon spending typically happens slowly over long time frames. Wesley Morgan, Connor O’Brien, Jennifer Scholtes, and Annie Snider contributed to this report.